Social Media Arm for all Christians and non – Christians who are searching for answers for their life purpose. 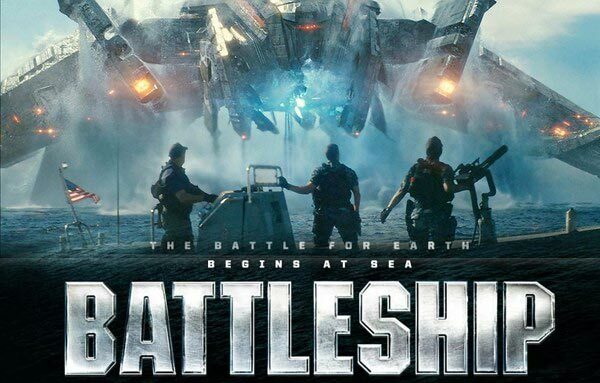 Before i continue with my blog, just want to put a disclaimer for those who haven’t watched the movie yet, this blog contains some spoilers about Battleships. I am a fanatic of anything that moves in the ocean or seas like submarine, torpedos, naval fleets, canyons, navy seals, sea men, aircraft carrier, jet plane, etc. Must see movies are Titanic, Pearl Harbor, and many more because it gives me new persperctive or new horizon of thinking. It gives me giggles and new discoveries. As I watch this movie again who was first shown last 2012 I saw some great insights that we can apply as a believer of the Lord to ponder for a while. Parent who needs to wake up early in able to cook breakfast for your family everyday, or a Student who face challenges going to school and learning so many things and doing a lot of unnecessary stuff, or a Working person who needs to face his/her dominant boss. Whether it is a loss of a job, taking on a new job and new responsibilities, financial problems, declining health, broken relationships, loss of loved ones, uncertain tomorrows, or a host of other challenges, each of us experiences times of doubt, fear and discouragement. As a Christian, our greatest battle is doing sins over and over again. Battle of the flesh, the quick satisfaction that we get on sinning and feeling sorry or guilty after doing it. My mentors once said that “Our sins did not started first in a physical manifestation but the battle starts at the head”. If you let sin win in your head then the physical action comes in. I was curious how many times the phrase “Be strong and courageous” shows up in the Bible. For the NIV 1984, the answer is 10 times. Moses to Joshua, God to Joshua, and the people to Joshua are some of its initial uses. Be strong and courageous because our world needs to raise up Christ followers who are strong and courageous. Maybe you are in a season of asking yourself Am I a Leader? Afraid of big task and tons of responsibility? Thinking medeocrity in your workplace like you don’t have the chance to get a promotion or your skill is at this level so my salary is only up to this level only. 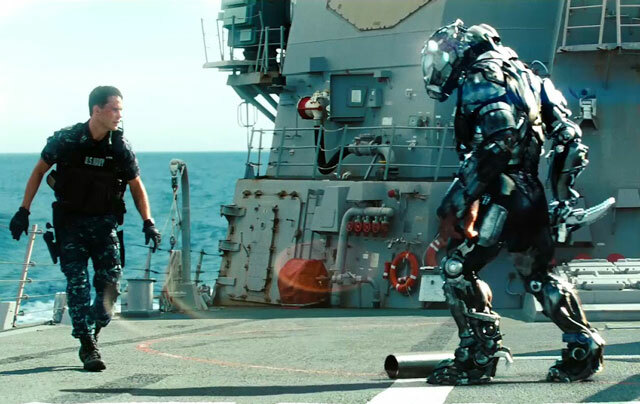 Just like the character in the movie BATTLESHIP, Alex Hopper (Tactical Action Officer of the USS John Paul Jones) was in the battle field. When his brother was killed by the aliens attacked. The Sampson and Myoko, was destroyed, USS John Paul Jones was damage and in the processes killed the commanding and executive officers, including his brother Stone Hopper. 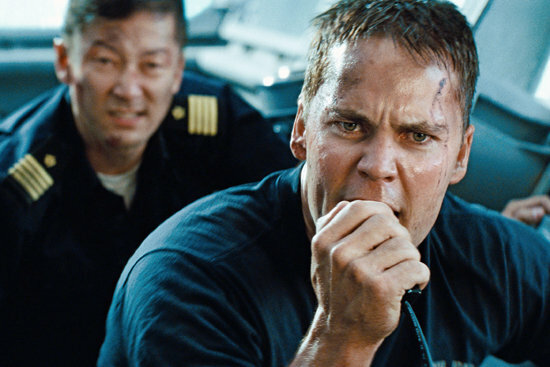 Alex sees his brother die and returns to their ship, where he is forced to take command. Although his crew never believed in him, as the only senior officer left on the ship, he is now in full command. At first he doesn’t know what he needs to do or whether it is the right decision to make. Whether you are an introvert or an extrovert, you are a Leader! It is ok to experience mistakes in our lifetime. We can’t improve ourselves if we don’t commit mistakes. Better to try than never at all. Be strong and courageous not because you are full of yourself, but because you are filled with the Spirit. As a man we take pride on the things that we know and we’re best at, we never let learning get in the picture. Like the illustration of the Zen Master who pours the tea on the cup until it over flows, then his student said, “Master the tea is overflowing.” Then the master said, “This is like you. I can’t teach you any new technique because you already know many things.” Be an empty cup and Listen first then Lead. Who are you following right now? Does he/she have a big impact in your life? Does he/she brings out the potential in you? Do you consider a person in your life to be your life mentor? There is no success without a successor. Me, I have a lot of mentors in different areas of my life that I am accountable to. I have a mentor in my finances and being generous, another mentor in leadership and in relationship. I also have a mentor in my ministry, and lastly, a mentor in speaking. My challenge for you today after you read this blog is to look for a mentor not only will make you a great person but will help you walk with God. Looking inside the church is one of the best ways you can find great mentors. I found mine in a christian church in Greenhills, San Juan. First, they must have a relationship with our Lord Jesus Christ and they are readers and doers of the Word. You can never go wrong with the wisdom of God by your side and applying it in your life. The Bible is not only the do’s and dont’s but it also gives us practical advice in our day to day lives..